NEW ON THE MARKET! 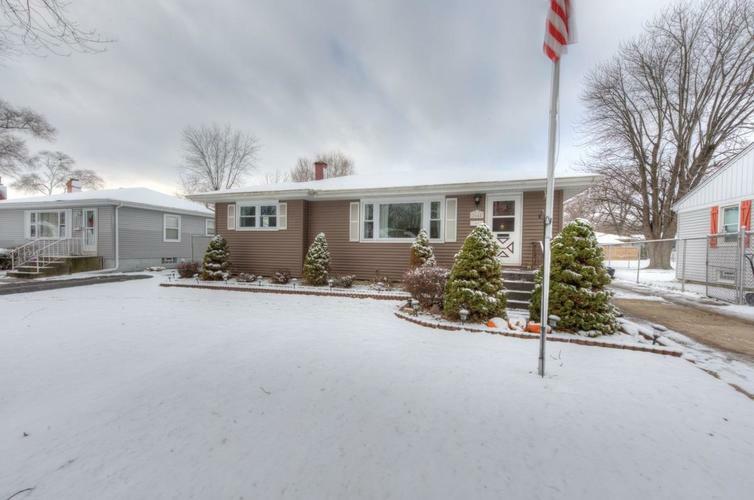 Well maintained Ranch style home with many updates including new windows 2018, new roof on house and garage 2017, insulated attic, and completely remodeled bathroom 2017. Beautiful resurfaced original hardwood floors November 2018! Kitchen includes all appliances with new stainless steel refrigerator, dishwasher, stainless steel cook top, and water filtration system. The basement is finished and has a full perimeter inside tile drain system with new battery backup sump pump. It includes a gas fireplace, shower in the utility room, washer and dryer, deep freezer, new water heater 2015. Side drive leads to oversized 2.5 car garage with workbench, several cabinets, and overhead storage. Fenced yard has a storage shed and a screen porch with electricity that is located behind the garage. A full house backup generator system is included. This is a GREAT affordable home in popular Dyer, Indiana and it has 4 STAR SCHOOLS! Make your appointment now. Directions:Hart Street South from Rt. 30 Berens West to Lakewood Drive, South to home.